"There are no great early years settings without great professionals working in them. It is through campaigns like this that we can promote and inform young people in schools and colleges to consider a career in early years, and continue to attract the brightest and best into this rewarding sector. I have visited some truly fantastic early years providers across the country and met many of the inspiring people working within them. We have a shared goal to give every child the best start in life which is why this Government is spending more than any other in supporting early years education and childcare - around £6 billion a year by 2020." "Our dedicated early years workforce is the sector's greatest asset and is paramount to support and inspire our children's early development and learning. This sector is a great place to work and offers a wide range of opportunities: from working directly with children to managing a setting, establishing a business or working as an inspector. The Government's Workforce Strategy focuses on making a practical difference to early years employers and staff, by addressing the barriers in attracting, retaining and developing staff. I am pleased that the Inspiring a Future in Childcare campaign supports the Workforce Strategy so that employers can work in partnership together to promote and inform young people to consider a career in early years." "The quality of early years education is the single biggest factor in supporting all children to reach their potential and reduce the attainment gap between peers. This quality results from the qualifications, knowledge and experience of its dedicated workforce. Practitioners with level three and above have invaluable insight into how best to support children's development. We are happy to support this campaign Inspiring a Future in Childcare which will raise the profile of early years practitioners, highlight opportunities and vacancies within the industry and support childcare providers to recruit the right people." "We are delighted to support this important campaign. Our research has shown that young people have very little understanding of the fantastic range of career opportunities in childcare and the early years. One simple and easy way of changing this is for people who work in the sector to volunteer an hour a year to visit a local school and to chat informally about their job and career route which is why we are pleased that Tinies Childcare are looking to encourage volunteering to raise awareness of the rewarding roles which exist in the childcare sector, enabling childcarers to not only work with their local Tinies branch but also to be able to utilise a free on-line match-making service Inspiring the Future through which volunteers can be quickly and easily connected to schools." "PACEY is delighted to support Inspiring a Future in Childcare as not only does it supports our goal to promote childcare practitioners and the brilliant job they do for the children in their care but also - we hope - encourage more young people to consider a career in early years." 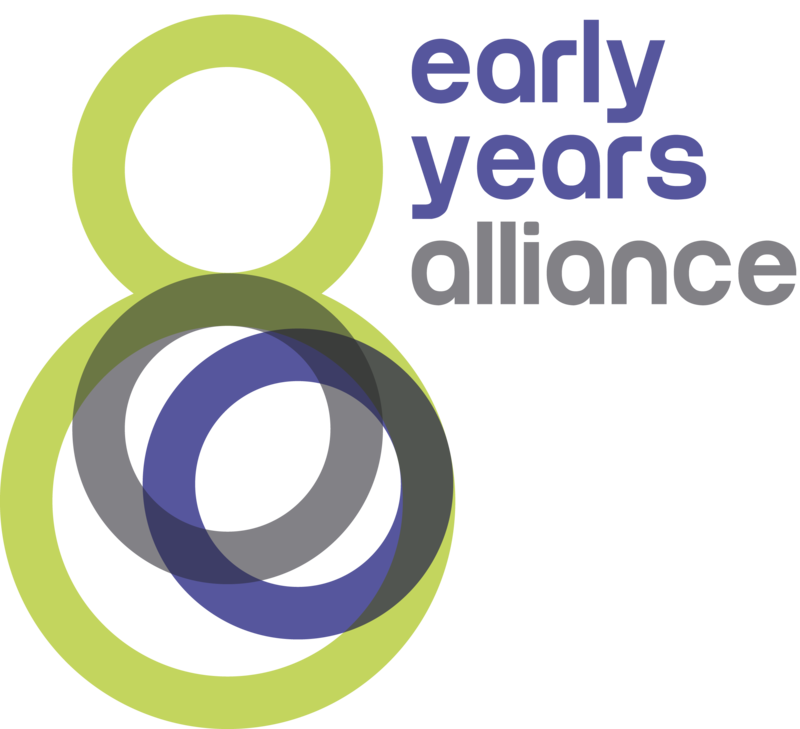 "We know that quality early years experiences can help define a child's life chances. But if we are to ensure that all children are given the best possible start in life, it's essential that we have a passionate, dedicated and highly-qualified early years workforce in place to deliver this. That's why we are delighted to support the Inspiring a Future in Childcare campaign, which rightly recognises that encouraging more people to consider a rewarding and fulfilling career in the early years is key to ensuring the long-term sustainability of the sector." "The National Careers Service provides impartial careers information advice and guidance across England to help individuals make decisions on learning, training and work. Professionally qualified careers advisers provide confidential and impartial advice. Advisers use labour market information to identify skills shortages within specific industry sectors, to inspire individuals to take up opportunities which will help them to achieve fulfilling careers and develop skills for the future. The National Careers Service is supporting the "Inspiring a Future in Childcare" campaign, which is looking ahead to raise awareness of the childcare sector and inspire people to consider the opportunities and benefits of the range of roles within the sector." "We welcome all initiatives to raise the aspirations of young people and know from the research that four or more encounters with the world of work can make a huge difference to a young person's future career prospects." "Childcare is still very much an industry primarily staffed by women, and at Morton Michel we are full of admiration for their hard work and dedication. However, only 2% of the workforce is male, and we would like to see more men encouraged to join the childcare industry from an earlier age. The childcare industry is also struggling to recruit and train staff which means there are not enough qualified carers joining the market to meet the demand for childcare. The situation is undoubtedly becoming desperate, and solutions are required, which is why we are supporting the 'Tinies Inspiring a Future in Childcare Campaign' to raise awareness amongst young people of all of the employment opportunities within the childcare industry and encourage them into the sector." 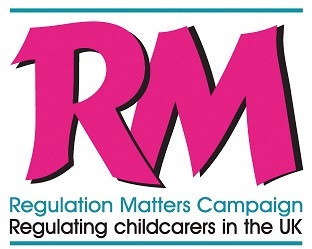 "The Regulation Matters Campaign is delighted to be supporting the excellent 'Inspiring a Future in Childcare' initiative. Encouraging the growth of the childcare and early years sector, highlighting the professionalism of all practitioners in this crucial area of work will hopefully succeed in raising the profile of childcare and encourage people to consider it as a credible career choice." 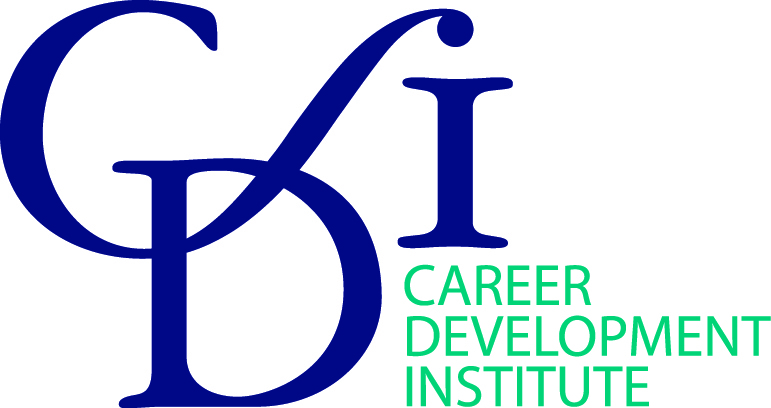 "The CDI supports the Inspiring a Future in Childcare campaign, which is designed to encourage young people to consider a career in childcare. Several companies are now offering apprenticeships and organisations like Tinies are starting to provide work experience placements too." LEYF is happy to support the Inspiring a Future in Childcare campaign. We share the view that the best staff give children the best chances and we are completely committed to this. We know that a quality nursery experience can play a significant part in supporting a child's life chances. So it's essential that the sector works together to attract, nurture and retain passionate, dedicated and highly-qualified early years staff. workforce in place to deliver this. "Careers England supports Tinie's Inspiring a Future in Childcare campaign to encourage more young people to work in the childcare industry. As a trade organisation we represent hundreds of careers professionals who provide information, advice and guidance to individuals starting out on their career journey or looking to make a career change. The latest labour market information shows that there is a national skills shortage in the childcare industry. Promoting the right vacancies to the right people can not only help fill these skills gaps but also ensure that young people progress into rewarding and fulfilling jobs that inspire the next generation." "Because of the significant changes, over recent years, in the pattern of daily life in the UK, childcare is a sector in which the demand for skilled and committed professionals is growing exponentially. But attracting people into this industry is continuing to be a challenge. Fair Train, the UK's national expert in all forms of work experience, passionately believes that work experience, if delivered at high quality, is one of the most effective ways of addressing this kind of demand/supply imbalance. We are therefore delighted to support Tinies Childcare in its Inspiring a Future in Childcare campaign - not just because the campaign is, in itself, important and much needed, but especially because of Tinies Childcare's commitment to work experience being an integral part of its strategy." "I have worked within nursery owners and managers for over 20 years and have always been inspired by the true dedication of staff within the sector to provide quality care to young children. It is therefore with sadness that in more recent times, I hear from so many childcare professionals that they are finding it so hard to recruit quality staff or encourage young people to engage into this very worthwhile industry. Nurseries have challenging times ahead with the increased qualification requirement and therefore I was delighted to hear about Tinies Inspiring a Future in Childcare Campaign. It is a fabulous idea and I hope they provide all the support they need to make it a great success it truly deserves." "As a childcare group we have been concerned about the lack of talent coming into the sector, particularly the lack of high calibre apprentices. The Inspiring a Future in Childcare campaign is a brilliant idea - reaching out to young people want to know more about childcare and the opportunities that are open to them will, undoubtedly, encourage more applicants to work in the early years sector." "Broaden HR are committed to working with Tinies Childcare to help raise the profile of their pro-active Inspiring a Future in Childcare campaign. As a childcare sector partner, Broaden HR has previously raised concerns about the lack of information available for young people who need clear and appropriate advice and guidance about the amazing career options open to them working within early years. With this campaign, Tinies Childcare have identified innovative ways to reach out to those young people." "The work the Tinies team are doing to raise awareness of careers in childcare is giving young people a valuable insight into the journey they can take in this sector, from the first steps of training all the way through to management. Quality advice and guidance on career opportunities for school leavers is vital. It's great to see more and more young people being inspired by Tinies every year." 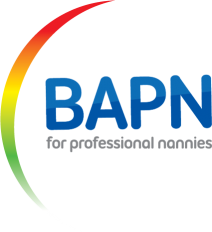 "BAPN, the association for professional nannies, are pleased to support this campaign. We feel above all the industry needs diversity and variety to reflect the range of families that use childcare. This is particularly important in the nanny workforce because of the very personal choice parents have to make when employing a nanny. Unfortunately people with a real vocation often write childcare off as not for them (particularly young men) or are directed to more 'academic' careers. Making young people aware that they can study childcare, early years and education at a high level - and some parents actively look for nannies with that profile - will encourage them into the workforce. We believe this campaign will provide accurate information about all the possible jobs. There is no single career path and different people have different strengths. We want to support an initiative that supports people who are truly motivated to work with children to find their niche." "At The Cooperative Childcare we take learning and development seriously, it's our promise to help people grow careers that mean something. We are excited to cheer on the Inspiring a Future in Childcare campaign and wholeheartedly support a quest to make a career in childcare something the next generation want. Having the right people in childcare who feel motivated, valued and inspired will in turn motivate and inspire the children we care for. It's our aim to make working in childcare feel positive and rewarding, never a career you simply settle for. At a challenging time for recruitment it's never been a better time for the sector to join together to make a difference." "CACHE is committed to raising standards in early years, health and social care. Recent statistics show that the early years workforce has experienced a serious short fall in staff which is why we are supporting the Inspiring a Future in Childcare campaign. We need to continue to promote technical professional qualifications that offer real opportunity to our learners and make a real difference to children and their families." "We're pleased to be supporting a campaign which aims to address the current skills shortage in the childcare sector. As a company and as a group of supporters, our ultimate goal is to attract more childcare professionals into the industry and to show young people and those looking for a change in profession that a total career path is available within the industry. We want to change the outdated perceptions of childcare - it is more than just a job. For those that are passionate enough and have the drive to succeed, a career in childcare is extremely rewarding and one that you can thrive in. We're looking forward to making a difference through this campaign and inspiring more people to pursue a career in childcare, but more importantly, highlighting all of the wonderful opportunities that are available." "Voice welcomes the opportunity to support the Inspiring a Future in Childcare Campaign. The positive promotion of early education and childcare as a valuable and fulfilling career option is overdue. The calibre of the workforce is critical to the quality and long-term sustainability of the sector. It is therefore essential to recruit high calibre students who are passionate about childcare, to train and become a dedicated and committed member of the professional early education and childcare workforce. Voice is happy to support the campaign to raise the profile of this important, worthwhile and rewarding career." "Action for Children's Spring Nurseries' and Foundation Years endorse the work of this campaign to raise the profile of the early years workforce and highlight the excellent work the workforce does to support the development of young children and ensure there is a focus of attracting more people into our profession." Ruth Pimentel - Operational Director, Children Services & Sue Robb - Head of Early Years. "I am thrilled that Nannytax has an opportunity to support this great campaign. Everyday we hear from nannies about the wonderful experience they have caring for children. Also many families that we speak to are so incredibly grateful of having a nanny who can support their family. It is a wonderful profession to get into, with so many opportunities spanning a career lifetime." "This is great campaign and NannyMatters are very happy to give it our full support. We know how important good childcare is for parents, how much they value and reward their nannies. There are many fulfilling and exciting opportunities, locally, nationally and internationally, for fun-loving, caring and patient individuals who want to make a real difference to children's lives." "The earliest years of life present a unique opportunity for the development of the crucial skills and understanding which form the foundation for the rest of life. Recognising the importance of this phase of education and of a skilled workforce across the early years, nasen are delighted to support this Inspiring a Future in Childcare campaign. We work with practitioners to help ensure that all children with special educational needs and disabilities are fully included and have their needs identified and met. Continuing to attract the best staff into early years education is vital and we hope that this campaign can inspire many young people to consider the early years for a rewarding future career."